Ann Pappert is a strategic and energetic public sector leader whose 20+ years of experience across multiple provinces and cities brings an expansive perspective to her vision for “opening up” government. An early advocate of open data and open engagement, Ann is focused on the realization of open governance and championing our next generation of transformational public sector leaders. 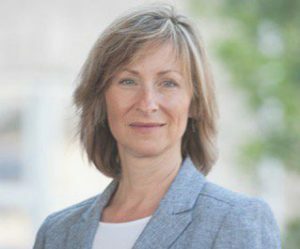 Her recent work as the CAO of the City of Guelph resulted in it being awarded the Institute of Public Administration of Canada’s (IPAC) Bronze award for ‘bold innovative leadership’ in the municipal public sector. Ann is currently writing on how to implement significant cultural change within government; the leadership essentials required to deliver a truly ‘open’ culture within the public service; and practical lessons on embedding holistic design into the structures, policies and delivery systems of cities.